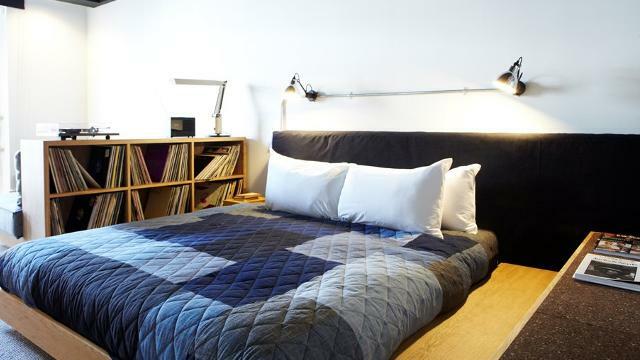 Ace Hotel London Shoreditch is located in the historic Shoreditch neighbourhood, a hub for galleries, theatres and fashion. The hotel has free Wi-Fi, a gym, a basement bar, a restaurant and a 24-hour front desk. Designed with influences ranging from UK punk to bold graphic styles, each unique room comes complete with a flat-screen TV, a mini-bar and a security safe. For food, the restaurant at Ace Hotel offers an extensive menu that caters for a variety of dietary needs. The on-site juice bar and basement bar also serve a wide range of refreshments. Brick Lane Market, popular with bargain hunters is just 8 minutes’ walk from the hotel. Old Street Underground Station, on the Northern Line, is a short 10-minute stroll away. It offers direct routes into central London. Is Ace Hotel London Shoreditch your business?